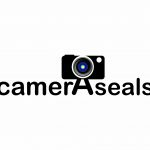 Are you planning to buy a camera, but you have no ideas which model/brand to buy? You’re in luck then because we’re going to review two entry-level DSLR in of both famous brands: Canon and Nikon – Canon T6s and Nikon D3400. Canon T6s, an advanced model of T6, has been released a year early than Nikon D3400. But since they both fall into the same category (entry-level DSLR), camera aficionados are comparing them to determine which of them are the best. From my third sentence, you’ll immediately see that D3400 has the advantage since it was launched a year after T6s. Meaning, it’s technology and features are more updated. But of course, this isn’t the only information that we’re going to rely on. There are more details that we need to sort out before deciding which one to buy. Convenience is always what everyone aims for, particularly in traveling. That’s why it’s important to choose a camera that’s portable. Cameras have its own lenses. Unfortunately, it has some limitations. That’s the reason every camera brand designed different lenses that can easily mount to the cameras. This is to ensure everyone will get their perfect shot. So before buying one, whether Canon or Nikon, check first if that brand has a great and affordable selection of lenses; or if they have what you need. The camera’s battery life is one of the first things you should check when buying a camera. This is to ensure if that camera model can keep up with your work or lifestyle. The table below will show you the comparison of weight, the number of lens and battery life of Canon T6s and Nikon D3400. When T6s was launched, it set a new record for being the first in its family series that has advanced options, and yet, its design is still compact and portable. These options include top LCD display panel, built-in level display, and quick control dial. This image processor helps to improve the quality of the captured image and recorded video by improving its light sensitivity and camera’s overall performance capabilities. T6s was built with different technology to produce high-quality videos. One of those technologies is Hybrid CMOS AF III. This technology keeps the camera to focus fast and stay in focus even the subject moves. Another technology is an automatic wind noise elimination feature. This feature ensures that all voices and music will remain audible even under a loud sound of wind blowing. T6s supported EF and EF-S lenses. In total, there are 292 lenses available for T6s where 91 of it is equipped with image stabilization feature. Image stabilization isn’t really a must-have feature. But since T6s doesn’t possess this feature, it’s best to get a lens that has one. Many love D3400 because of its compact and user-friendly design. Not to mention the excellent image quality it produces because of its 24.2-megapixel APS-C (DX-format) CMOS sensor and Expeed 4 processor. Nikon are known for providing the ﬁnest autofocus systems in their cameras. For D3400, its AF system works by acquiring the subject fast and provides precise focus no matter what the shooting conditions and low-light situations are. D3400 can record Full HD video with the following resolution: 1920×1080 (60p/50p/30p/25p/24p), 1280×720 (60p/50p) and 640×424 (30p/25p). For the sound, Nikon has a new AF-P DX NIKKOR 18-55mm f/3.5-5.6G VR lens that uses a stepping motor. This motor works to have a smoother and quieter autofocusing. Also, to ensure that only the sound from the internal mic is being recorded. SnapBridge is Nikon’s way to make photo sharing easier for everyone. With this, you can automatically transfer files to your smartphone or tablet. SnapBridge also has a seamless connection to Nikon Image Space and other cloud storage site. Canon and Nikon are two of the leading provider of reliable DSLRs nowadays. So, whichever brand you choose you’ll be assured that it’s reliable and effective. But if we have to choose between Canon T6s and Nikon D3400, we’ll prefer Nikon D3400. This isn’t an easy decision because T6s and D3400 have a lot of things in common, both strength and weaknesses. But we still choose D3400 because it’s lighter, battery life is much longer, and it has a higher effective ISO which gives more low light flexibility. The only disadvantages of D3400 are: it lacks on-sensor phase detect and telephoto reach lens.